In addition to the almost-immediate positive health effects of Kinesio Tape application which were demonstrated during testing, researchers also discovered a phenomenon they believe may be even more important. Because the Doppler device registered no significant changes in the blood flow of healthy subjects after taping, but only of those suffering from various disorders, researchers have concluded that they “can say with some confidence that Kinesio Taping® has no major adverse effects.” This is, of course, good news to those who use Kinesio Tape for physical disorders and a wide variety of other conditions. Researchers based the above study on the widely recognized principle that increased blood flow is one of the natural mechanisms of the healing process. The clinical study used nine randomly selected subjects, five of whom suffered from poor circulation and chronic disorders and four of whom were “relatively healthy.” The volume of all subjects’ peripheral blood flow to various parts of the body was measured by Doppler. For the study, Kinesio Tape was applied to the sites most likely to affect blood flow to each area being tested. Blood volume measurements were taken and recorded both before and after Kinesio Tape application. Pre-taping measurements were then compared to post-taping measurements, and differences were noted. 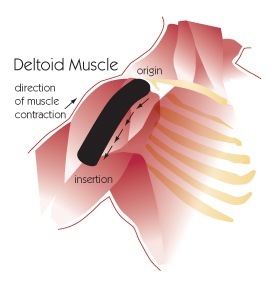 Results of the above Kinesio Tape study showed an approximately 60% increase in blood flow to the pectoralis major muscle, an approximately 30% increase in the pectoralis minor muscle, and an approximately 20% increase in the anterior and medial scalenus muscles after Kinesio Tape application. Results were consistent among all subjects, without exception: All five who suffered from poor circulation and chronic physical disorders showed statistically significant increases in blood flow volume, and all four who did not suffer from these conditions showed no increases and, in fact, showed slight decreases in peripheral blood flow. Because Kinesio Tape maximizes blood flow after physical trauma, increasing oxygen availability to compromised body structures and organs, the tape is widely used by both athletes and non-athletes to promote healing, strengthen and support overworked muscles, and enhance athletic performance. While many will view the results of this study as still further evidence of the efficacy and versatility of Kinesio Tape, it’s doubtful that most regular users of the tape would require another scientific study to tell them that the Kinesio Tape they know and love actually works.